The shame, the shame. My spice cabinet has been a mess since we moved here. 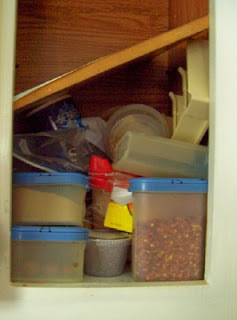 Tupperware, cheap bottles, little bags--you name it, it's tumbled down this narrow shelf. I was ready to throw it all out and start over when I found this $4 spice carousel at Thrift Smart. Only 4 of its bottles had ever been opened. The spices inside smell fresher than my own, so I'm keeping them. The rack holds savory herbs and fits in the cabinet next to my stove. My leftover baking spices can fit in the pantry's baking caddy. If you're local, please don't tell me that you donated this because your grandma gave it to you ten years ago. That would really spoil the thrill! How do you organize your spices? Do you decant cheap bottles into a set of containers or store them as they come? It looks nice. I'm waiting for the day when all my cupboards are organized at the same time. 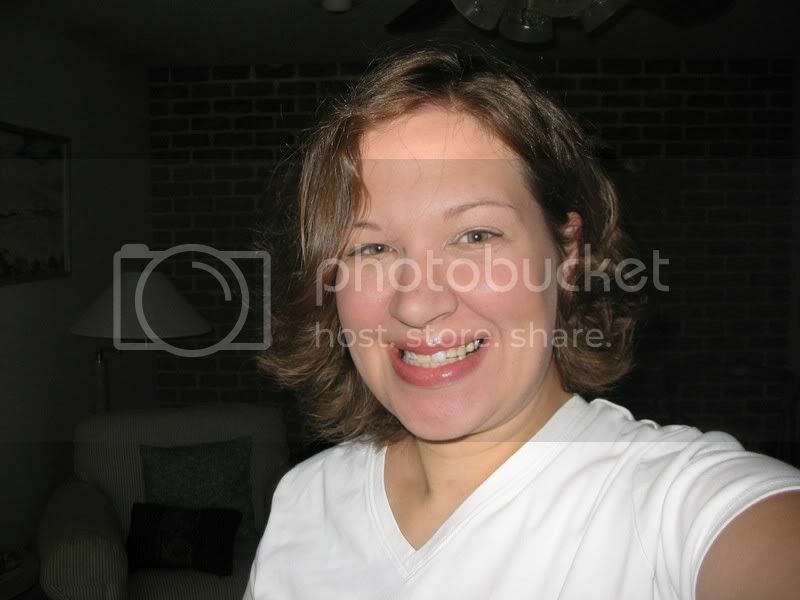 Just scroll down to the last picture in the post. 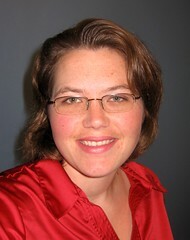 Just found you on the web- great site! I'm looking for an answer to this riddle myself. I usually keep them in the original container, but right now my spices are taking up an entire cabinet and I don't even keep that many on hand! I love your fabulous finds, by the way! I've rationalised most of my spices (ie, tossed them. Most were at least a year out of date!) as while I love making curries from scratch, I just didn't use them enough to make it worthwhile. So I've pared it down to a few essentials - garlic, ginger, cinnamon, corriander, cumin, a jar of Keen's Curry powder, and a few bags of interesting things like Sumac (fab with tomatoes) and smoked paprika (adds a smoky bacon flavor when you don't have any bacon, for soup and pizza sauce). I no longer keep Thai spices, just use readymade sachets of sauce. These fit in a small plastic box. "one day", I'd love to have a large spice rack on the inside of the pantry door. Once I had my spice bottles laid on their sides in a drawer, that worked reasonably well. Nonslip mat underneath. We frugal gals must be on the same wave length! I was just thinking about spice storage myself...kicking around the idea of purchasing Kitchen Arts Select-A-Spice Ultimate Spice Carousel or the Auto Measure Select-A-Spice Carousel on ebay. Then I came to my senses and decided to just recycle my containers! Hi Meredith...I store my spices in two shallow drawers to the right of my stove. My MIL, who is queen of organization (and I am so not) actually helped me by suggesting this method to me when we unpacked. She sorted them by size and alphabetized within the sizes. Amazingly, they have remained orderly. I lay them flat in the drawer and can easily see what is there and grab what I need when cooking. It's the best system I've ever had. What a great find. Thanks for sharing! It turned out neat. LOL! This is the question I can answer. I sold Tupperware for a bit and bought have several of their spice containers including one carousel. Then I bought, slowly, glass spice jars for the rest and have those on carousels that I picked up inexpensively. I have over 32 spices that I actually use frequently enough. Mine are all alphabetized. I do not store them over the stove, but in the cupboard one over from the stove. This is to keep them fresh. My labels are from an inexpensive label making machine I bought for $10. Why so many spices? I grew up in Bangladesh. Love Moroccan and Jamaican foods. Great foods, but lots of different spices. (the squat 1/2 pint size). They stack nicely, and are very easy to re-fill. As an added bonus, they look nice in my cupboard too. I keep my spices in their original jars from the supermarket and have them on a rubbermaid lazy susan in the small cupboard above the stove. I place them around the outer edge with label sticking out. 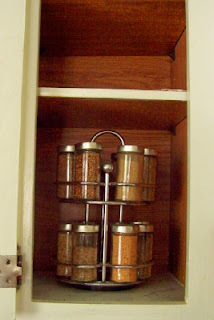 In the center I place popcorn seasonings or taller spice containers. The few spices I buy in bulk from Costco go in a special section of my pantry but I really like the idea of putting them in canning jars. I also like the idea of hunting garage sales for small pretty containers to keep spices in. Great ideas ladies! I store frequently used spices in a long, skinny rack near the stove. Others are on a lazy Susan, but I need to organize them so it's easier to locate what I need. That's a really great deal! I have WAY too many spices to fit into a little spice rack like that. I do love the sleek, organized look of those racks, though. Hi Meredith! Love your blog! I put my spices in recycled plastic 1/2 lb deli containers. I label them and stack them in the cabinet. Hi Meredith. A few peoiple have mentioned wanting to keep their spices in original grocery-store containers, so I thought I'd share info about a product called the SpiceStack. The SpiceStack stores up to 27 full-size spice bottles in your kitchen cabinet. The drawers pull out and drop down to resting position so you can read all of your labels and find your spices fast. Check it out at www.spicestack.com. Right now we are running a special $34.95 with FREE S&H. Happy Organizing!